I'm on the hunt for a new piece of furniture to hold our television. Currently, it sits on an old peeling Walmart television stand that is slowly but surely bowing in the center. Not very pretty. I love original pieces with a story behind them. The best part is that bargain deals are not just limited to cheap Walmart furniture that will fall apart within months [case in point with my current television stand]. The trick is patience in your search. 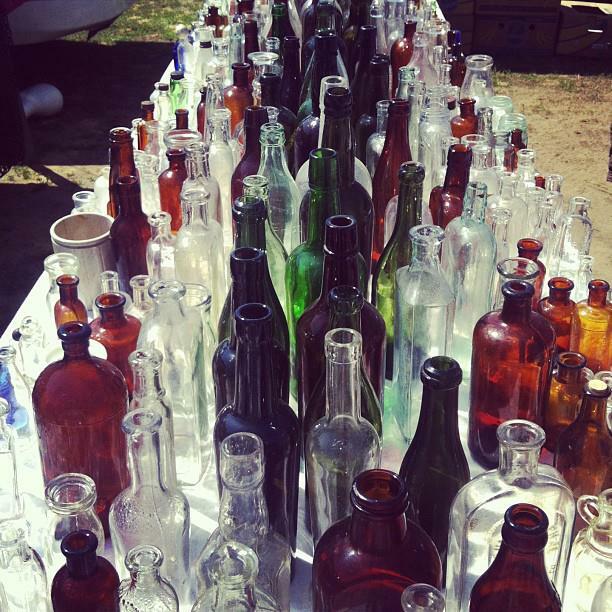 Garage sales and flea markets are secretly treasure chests. I'm lucky to live not 20 minutes from one of the best flea markets on the East Coast: the Elephant's Trunk. I would be there every Sunday morning if I could. Yesterday, that's where our day began. Unfortunately, the search for a television stand was not completed yesterday, but that doesn't mean it wasn't a successful day! 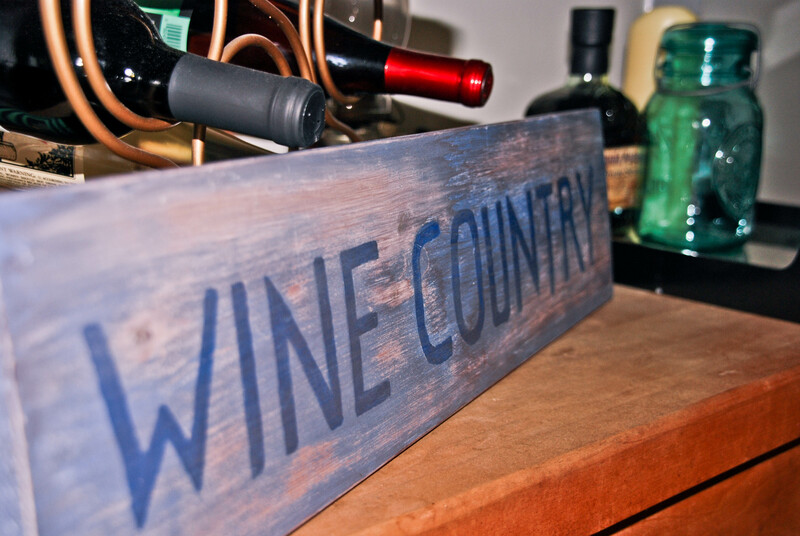 We bought this handmade rustic "wine country" sign for our bar. We're winos. Vineyard visits are some of our favorite excursions. All of our wine currently on our bar [and in our fridge] is from recent trips to local wineries, so this sign just screamed at us. The best part? Only $5. My guess is you'd pay anywhere from $10 to $20 for a machine made sign similar in any department store. I'll take authenticity anyday. Flea markets are also great for buying local foods. This past weekend's flea market outing was complete with fresh squeezed lemonade, egg sandwichs and a bag full of Italian goodies, including sharp provolone cheese and sausages. 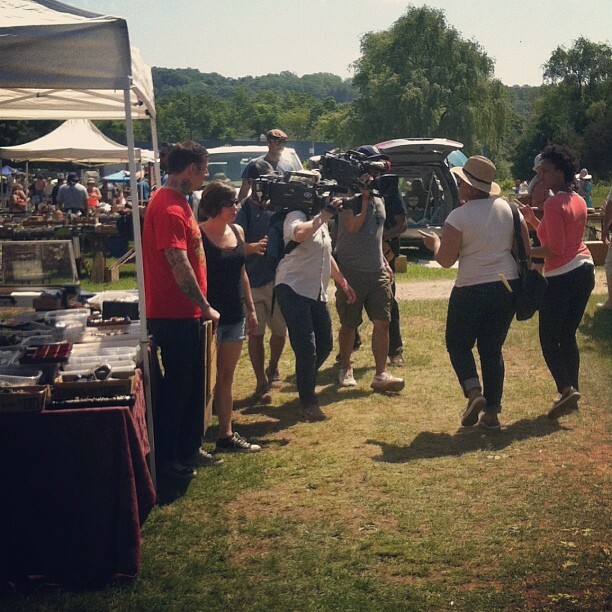 I can't wait to find the perfect stand for our television but for now, the hunt is so much fun!